How Eco-Friendly is Bamboo Fabric, Really? Bamboo is the fastest-growing woody plant in the world, capable of growing up to four feet a day. Most of it is grown organically (though very little is certified organic), and in most locations requires no irrigation or fertilizers. There are some concerns about its use, namely depleting natural bamboo habitats (for pandas) and clearing forests for bamboo plantations. But for the most part, the growing of bamboo can be considered sustainable. Fabric made from bamboo, however, is more controversial. Bamboo stalks contain bast fibers that can be processed into a relatively stiff and rough fabric like flax (linen) or hemp. Most bamboo fabric in the market, however, has a smooth, silky hand that feels similar to rayon—because that’s essentially what it is. Most bamboo fabric has a smooth hand that feels like rayon—because that’s essentially what it is. Rayon is a regenerated cellulose fiber, which means that a natural raw material is converted through a chemical process into a fiber that falls into a category between naturals and synthetics. The source of cellulose can be wood, paper, cotton fiber, or in this case bamboo. There is more than one way to make rayon. The most common way—and the one widely used for bamboo—is called the viscose process. In this process, cellulose material (such as bamboo) is dissolved in a strong solvent to make a thick, viscous solution that is forced through a spinneret into a quenching solution where strands solidify into fiber. The dissolved bamboo material is forced through a spinneret where strands solidify into fiber. This is sometimes called hydrolysis alkalization or solution spinning because the fiber is “spun” in a chemical solution. The solvent used for this process is carbon disulfide, a toxic chemical that is a known human reproductive hazard. It can endanger factory workers and pollute the environment via air emissions and wastewater. The recovery of this solvent in most viscose factories is around 50 percent, which means that the other half goes into the environment. Other potentially hazardous chemicals are also used in the viscose process, including sodium hydroxide and sulfuric acid. 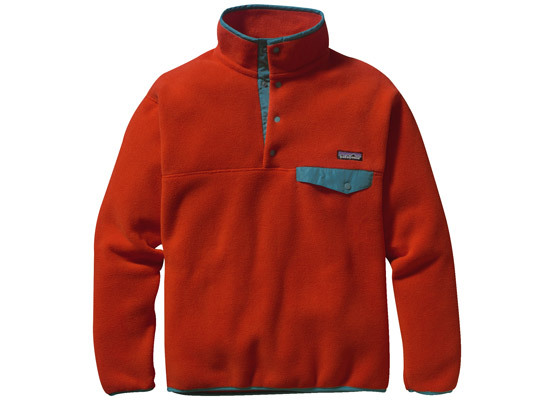 Because of these environmental issues, Patagonia does not use rayon fabric or bamboo fabric made by the viscose process. fiber, but currently we’re not using it because we have hemp fabrics that perform well in this type of application. The appeal of bamboo fabric is usually the drape and the hand that is a product of the viscose-type chemical processing. We’ve searched for an alternative fabric with these attributes, but with less harm to the environment. 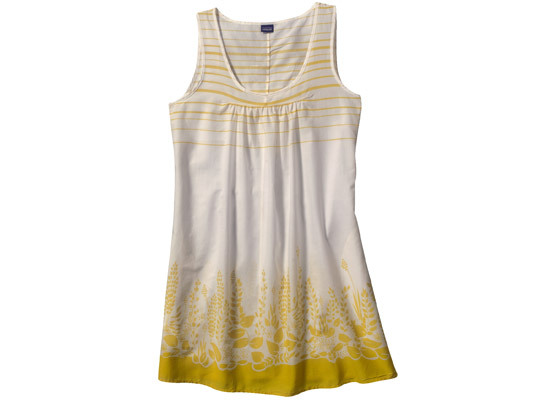 Tencel is also a regenerated cellulose fiber, but processed with a nontoxic spinning solvent in a closed-loop system. The best we have found is called Tencel, a branded name of lyocell fiber. Tencel is also a regenerated cellulose fiber, but processed with a nontoxic spinning solvent in a closed-loop system. The raw material is wood pulp harvested from eucalyptus tree farms, and the pulp is certified by the Forest Stewardship Council. It’s possible to use bamboo or other sources of cellulose, but eucalyptus yields the best quality fiber with the least amount of waste. Therefore we think this process is the best available option. We do have to ensure that the processing of Tencel and lyocell fibers doesn’t utilize any of the harmful chemicals sometimes used to treat the fibrillation of these fibers. Some factories use a formaldehyde treatment to avoid pilling and fuzz, but other formaldehyde-free treatments are available and are environmentally preferred. It is hard to take this article from Patagonia seriously when a huge percentage of their garments are made from polyester. Talk about non-ecofriendly! Thank you thank you thank you for writing this! I have been explaining this for years : the reason that bamboo is so fabulous for floors is what makes it so awful for fabric or paper. The stalks contain so much lignin - which is what makes trees so strong and tall. Lignin requires strong chemicals to break it down. So, bamboo is great for lumber uses but not so great for rayon and pulping uses. Same as trees. (Paper used to be made for old clothes - it's only been made out of trees for about 125 years. 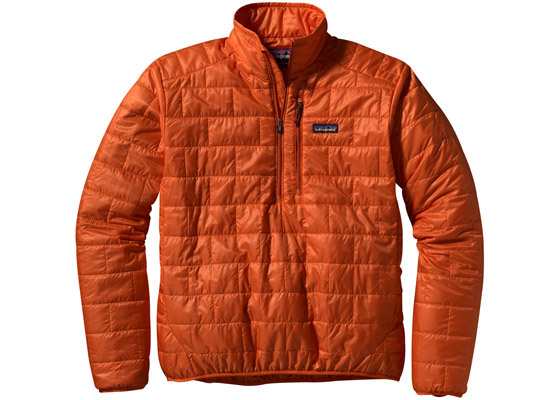 Patagonia recycles plastics into polyester -- saving resources and plastics from landfill. 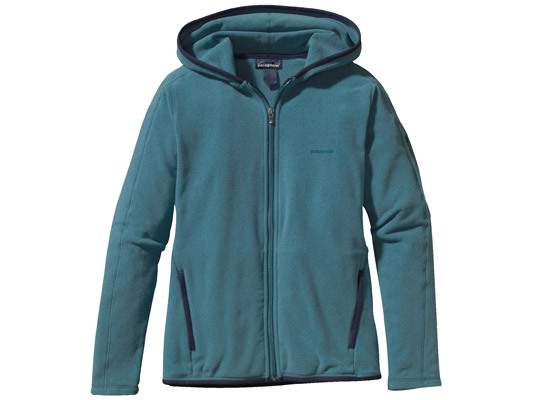 Actually, they use recycled polyester: http://www.patagonia.com/web/us/patagonia.go?slc=en_US&sct=US&assetid=2791 And have a recycling program that has been expanded to include all garments that have the Common Threads logo, and polyester from any brand. I think there is a lot of misinformation in this article. First - bamboo viscose is not made from bamboo eaten by pandas or from bamboo grown on panda habitat. Good grief... Bamboo Viscous is made from a timber bamboo called "Moso." Pandas eat a smaller "Grass� bamboo that grows in different regions. Second yes chemicals are used to get cellulose (viscose) from bamboo, but by far the principle chemical used is sodium hydroxide. Sodium hydroxide is one of the most widely used chemicals in the world and has no negative effect on the environment or the health of humans. Sodium hydroxide is routinely used in the processing of cotton into fiber, including transitional and organic cottons. Sodium hydroxide is approved for use on textiles by the Global Organic Textile Standards (www.global-standard.org) and the Soil Association (www.soilassociation.org). Sodium hydroxide does not remain as a residue on clothing as it easily washes away. It can also be readily neutralized to harmless and non-toxic sodium sulphate (salt); Sodium hydroxide is also used in food production and soap making. And finally, how is reasonable to claim that it would be better to use much slower growing eucalyptus trees, FSC certified or not, to produce viscose for fabric production when bamboo is so renewable. That makes no sense... The bamboo used for apparel production is the fastest growing plant known to man, growing up to 4 feet (122 cm) per day, and rapidly reaching heights over 40 feet. Because of this rapid growth rate and the amount of vertical biomass created, bamboo is able to deliver far more usable raw material per acre than any other alternative, which makes it today�s most renewable resource. Bamboo cultivation requires zero pesticides or chemical fertilizers to achieve its amazing growth rate and renewability. Hence, it is inherently organic. In addition, bamboo requires much less land and water (as a ratio to usable fiber produced per acre), than cotton, organic cotton, and other alternative fibers. In fact, it takes 15,000 liters of water to grow 1 kg of cotton or organic cotton. Some of this water is piped in from critical watersheds, as cottons are typically grown on arid lands. In contrast, bamboo requires only natural rainfall. @RTMC - This will forever be a back and forth debate, as there are no doubt advantages and disadvantages to both, especially depending on who's doing the reporting. As you mentioned, yes, a number of chemicals are used in this process, but I'm not sure how you can declare the "principle chemical used" as sodium hydroxide? The presence of one chemical does not offset the use (and waste) of another, especially one as dangerous and deadly as carbon disulfide. Regardless, sodium hydroxide is lye and, despite it's use as a drain cleaner, diesel production, metal etching, etc, doesn't make it a suitable chemical either. A quick image search for "lye burns" shows how powerful it can be. Plus, to neutralize to salt, you need equal levels of hydrochloric acid - which I doubt anyone is actually doing at a production scale. When you compare bamboo to FSC eucalyptus, you're leaving out the hugely important factors of source and end-use. Bamboo is not always the most competitive source when it needs to be harvested in Asia and shipped overseas, versus FSC-managed wood that's grown in a factory's backyard. Please source your contention that modern bamboo viscose production uses carbon disulfide. Have you seen the production process? I find it interesting when critics of bamboo viscose speak with authority on the process, when very few people have seen the proprietary system used for producing viscose from bamboo. I have to wonder where the information comes from? Will following the money lead to organic cotton suppliers? If so, it represents a sad state of affairs for the environmentally conscious segment of the apparel industry. It is my contention that all apparel suppliers trying to do right by the planet should be supporting each other�s efforts, no matter which fabrics each has chosen to work with. Those companies looking for environmentally friendly solutions in apparel production are fighting the same fight! Today, there are no fabrics that are 100% �green;� organic and transitional cottons require large amounts of land and water; recycled P.E.T. (polyethylene terephthalate) is still a chemically driven, petroleum-based material; and many hemp and bamboo fabrics require a pulping process. Carbon Disulfide may have been used in early rayon production, but as far as my research and the visual inspection of the process by people I trust is concerned, modern bamboo viscose production does not use it. Rather bamboo viscose production uses a closed loop process that relies on Sodium hydroxide as the solvent, which again is approved for use on textiles by the Global Organic Textile Standards (www.global-standard.org). Unfortunately, it has been my experience that a few companies supplying or heavily reliant on organic cotton are propagating misinformation about bamboo-based fabrics. Maybe they feel threatened by the compelling combination of benefits provided by bamboo-based fabrics. Who knows? I have found most of their critiques to be unfounded and un-sourced. I beg you not to join the bandwagon, we�re all in this together. For me, when looking at the current options for environmentally �friendlier� fabrics, I find that bamboo provides the best blend of ecological and performance benefits. Bamboo-based fabrics are a resource that I�ve come to see as today�s most promising alternative. If organic cotton and recycled PET continue to be you�re fabrics of choice - then good on ya!!! I would also like to reiterate in response to your assault on Sodium hydroxide (lye), despite it being approved by the Global Organic Textile Standards and the Soil Association (Source: www.apparelsearch.com), that it is routinely used when turning cotton into fiber during the wet processing. This includes ORGANIC COTTON, which I presume you support. Is it not hypocritical to bash bamboo viscose because it is produced using lye - when one of your chosen fibers uses lye in its production process as well? I also have to ask - If we are going to have a discussion about the use of chemicals, should we not discuss the list of chemicals used to produce P.E.T? Note: recycling may keep a small portion of P.E.T. (polyethylene terephthalate) out of landfills, but I suggest that we should instead look for natural alternatives and work toward halting our use of petroleum-based products all together. Does recycling a small portion of the P.E.T. produced justify its continued production? Does it provide cover for the Petroleum Industry to just keep pushing their products into our lives? Is it cool now because it can be recycled??? And the winner is... RTMC! For me at least... I think the trouble with Bamboo is the obscure Chinese production, but as a source for material, Bamboo can't be beaten for most efficient use of land and materials. This is an amazing discussion! Its gratifying to see so much awareness among consumers. I am an industry person and would like to add that the only ecofriendly option for clothing should be in recycled cottons. We are testing viscose from jute as an option to synthetic fibres and did cringe at the use of sodium hydroxide in its process but felt it had a much lighter impact on the environment than nylons or polyester,even the recycled polys which require intense heat and chemicals to melt down and redye. We have the jute viscose under our "sustainable fabric" section and NOT in the ecofriendly section due to its regenerated status. Our main fibre and one that we claim to be the most earthfriendly fibre is our recycled cotton clippings and rePET mix.Landfill diversion aside, producing the fabric uses the least amount of water,chemicals and energy.NOthing beats it for being ecofriendly. I worry that bamboo will replace indigenous trees in some regions because it is potentially a cash crop. Where would that leave the local fauna and flora? I agree; monoculture in any form is bad news. The key is to maintain biodiversity. Hey guy - cotton, organic cotton, and hemp are all monoculture. Commercial bamboo farming would also be monoculture, but due to the height bamboo reaches and how quickly it grows, bamboo delivers much higher yields per acre. So when compared to other monoculture crops, it is the most sustainable and has the smallest land footprint. I know of no evidence that commercially grown bamboo is being planted on forestlands. Most comes form native bamboo stands that have been farmed by locals for generations. Any non-native groves that I am aware of were planted on farmland and replaced other commercial crops. Water water water landfill water water landfill. Water landfill water water. Water, landfill. I'm into textile and would like to share my experience. Organic cotton, bamboo viscose, hemp, PET, Lyocell Tencel are all eco-friendly and comparatively over all bamboo still stand tall because it�s a natural source. However, it depends on what types of processing methods from raw materials - textile; mechanical or chemical way. No doubt GOTS set standard and approved Sodium hydroxide but that doesn�t mean it has no side-effect; http://www.diabetesguide.info/sodium-hydroxide/ Generally, chemical always involve which are less harmless and more biodegradable. @isea you can check www.tpassion.com for different textiles. @stillgreen it would be wise not to mention any races, choice is not limited. For final products (apparel) it depends on types of fabric. Different fabrics serve different purpose. I think the pros outweigh the cons in regards to bamboo. And please, no pandas are going hungry. The bamboo they eat is a totally different species. Bamboo is a much better use of land and water than cotton to get equal amounts of usable raw material. This article sums up the debate on bamboo vs. organic cotton: http://www.shantigreen.com/blogs/news/8614975-bamboo-vs-organic-cotton-which-is-better-for-the-environment The financial motives of those pushing cotton over bamboo are something to think about. I have a brazilian ethical fashion brand and one of our choices was to think of solutions, not for the best sustainable material. We shouldn't think of who's the winner, but look forward for improving the sustainable industry as one, versus the usual and non sustainable industry! I believe the success of sustainability is the idea of sharing knowledge for evolution. Today a 100% fabric does not exist, each one has it's individual positive point. So the answer would be, let's think together to improve each solution for a better sustainable future. Let's think of solutions, not individual material options. Maybe in the future we will have a material that we can say, that's the one, 100% sustainable, but today we are in the begging of a changing industry. Let's be positive to all sustainable improvements! Best! Hello. And first of all thank you to all those who have contributed to the debate and keeping it objective. So there's a balance between bamboo and cotton to be had. I've been particularly interested in developing a range of clothing using bamboo because one of it's attributes is antibacterial. In fact somewhere I've seen today that it has anti fungal too. However other sources on the Internet say that the viscose/rayon processing involved in bamboo textile for apparel is that the antibacterial function is lost (unlike for merino). When there is misinformation out there then it's difficult to weigh up the attributes of the fibres when specifying. Thanks everyone for your wonderful and thorough discussion on sustainable textiles. I own a bamboo fiber clothing company and was thinking I needed to switch to TENCEL, transitional cotton or organic cotton. This discussion board has helped me with my decision to stick with bamboo fabric.